4’ tall dual-sided fiberglass ladder, 15 inches wide, OSHA rated 300-lb. Special Duty. Meets or exceeds ANSI 14.5 specifications. Designed for use in the interior cabins of commercial aircraft. Composed of fiberglass construction frame. Lightweight (18 lbs.) 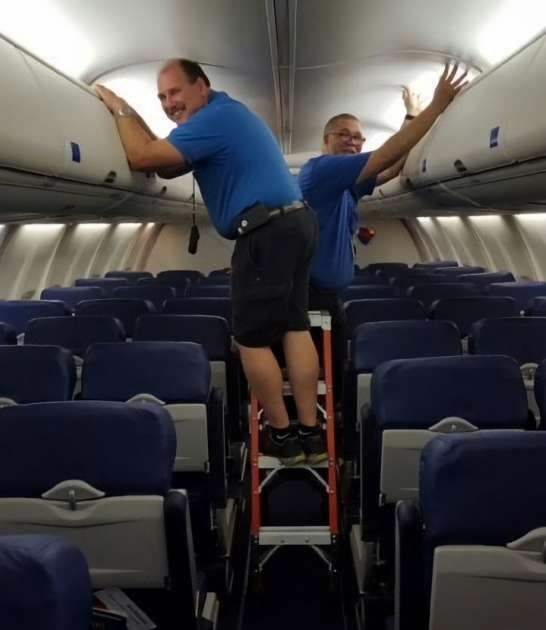 and narrow width allows cabin service personnel to place in the aisle to service overhead bins, lighting and electronics. 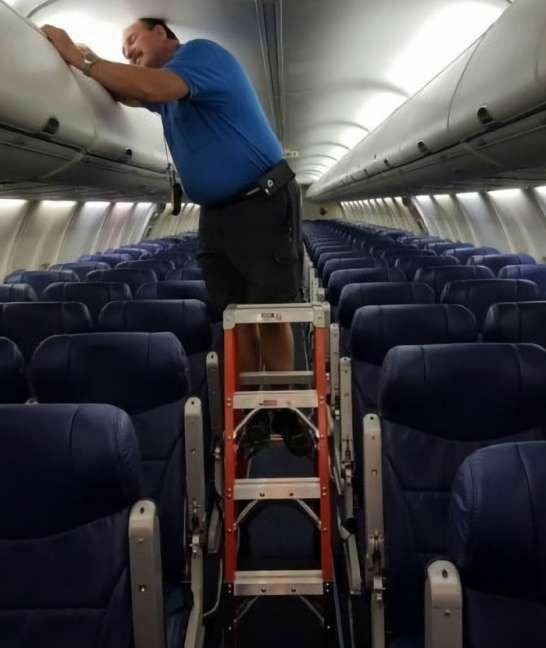 Allows sturdy safe working access and prevents damage to seat backs and armrests. Easily storeable inside the aircraft for continual use. “Do Not Stand” stickers placed above safe stand area. Stickers indicate OSHA/ANSI 14.5 compliance. Designed to service interior overhead cabin bins, galley bins and electronics.